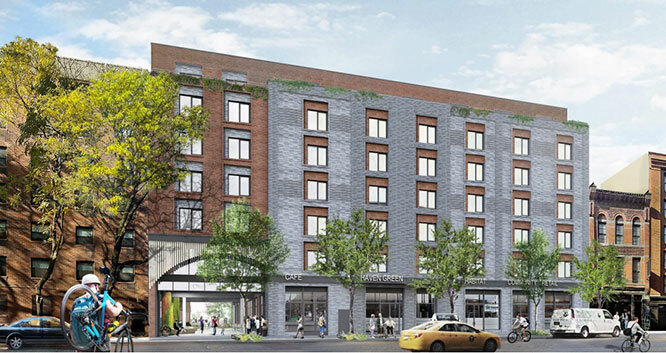 City Council member Margaret Chin testified before the City Planning Commission (CPC) on Wednesday, in support of the controversial affordable housing plan she has championed for a City-owned lot in Little Italy. The Haven Green proposal aims to create more than 100 apartments for seniors, with set asides for local residents, members of the LGBT community, and formerly homeless elders. It has proved contentious because building the structure will require repurposing the Elizabeth Street Garden — a City-owned lot that connects Elizabeth and Mott Streets at mid-block, north of Spring Street, and south of Prince Street. Since 1991, this half-acre parcel has been maintained and improved as a de facto park by local residents, who have come to regard it as a treasured amenity. Critics of the plan are unappeased by a compromise vision that includes both affordable housing for seniors and a new (albeit smaller) public garden, which would shrink from approximately 20,000 square feet to roughly 6,700 square feet. The CPC has not yet voted to approve or reject the plan, which is one of six steps in the City’s Uniform Land Use Review Procedure. The previous hurdle, approval by the Manhattan Borough President, was cleared in February, when Gale Brewer gave her authorization for Haven Green to move forward, subject to a series of caveats, such as more open space (which she wants designated as parkland), and assurances that affordability protections and amenities like community space will not have any sunset date. In a related development, two groups opposed to the Haven Green have have filed separate lawsuits seeking to block it. One of these suits has enlisted support from two elected officials, State Assembly members Deborah Glick and Yuh-Line Niou, who have signed on as co-plaintiffs. To receive daily news letters.